CLEAN the mushrooms either by using a dry and clean kitchen towel. Remove stems from the mushrooms, clean them by removing the gills (spores). DICE the onion, red bell pepper and zucchini, this vegetable is also called a courgette. Finely chop the garlic clove and red chili pepper and set aside. PLACE a medium-sized pan on high-heat, fill with water and let boil. BLANCH the mushrooms for about 2 minutes. Blanching your food essentially means that you plunge these mushrooms into boiling hot water, only to remove them after a short while. In this case that would be two minutes. Remove the blanched mushrooms and pat the mushrooms dry with a clean tablecloth. 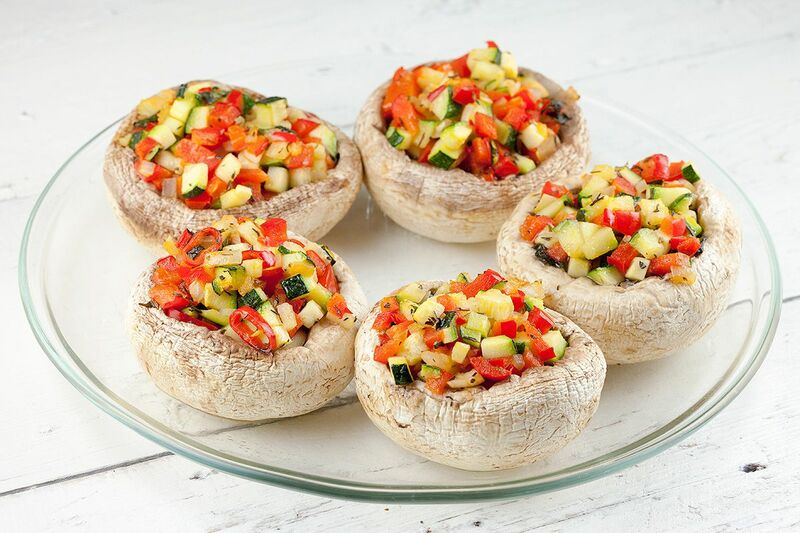 BAKE the prepared vegetable in a medium-sided skillet over medium-high heat for about 5 minutes. Drizzle the skillet with the olive oil, add in the vegetables and gently mix them together with dried thyme, basil and cayenne pepper. 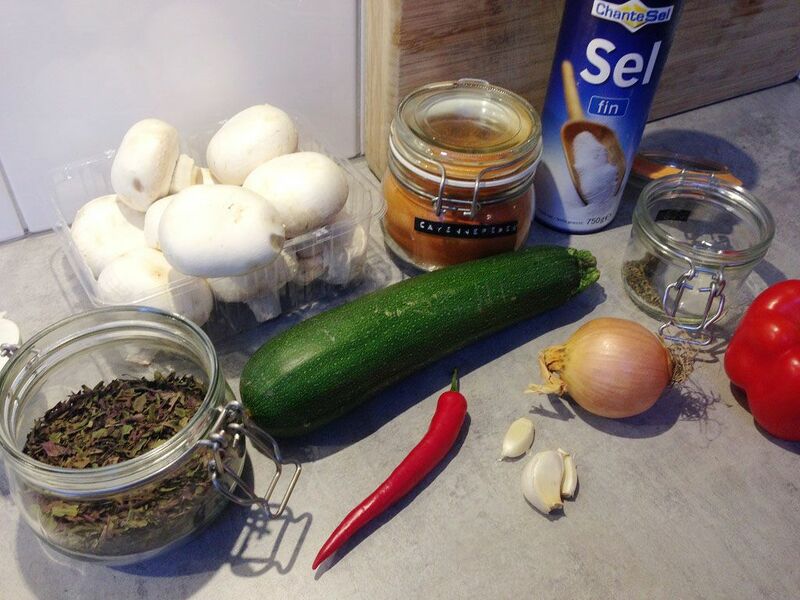 When the vegetables are done, fill the mushrooms with the vegetables by using a tablespoon. Pre-heat your oven to a temperature of 350 degrees fahrenheit or 175 degrees celsius. 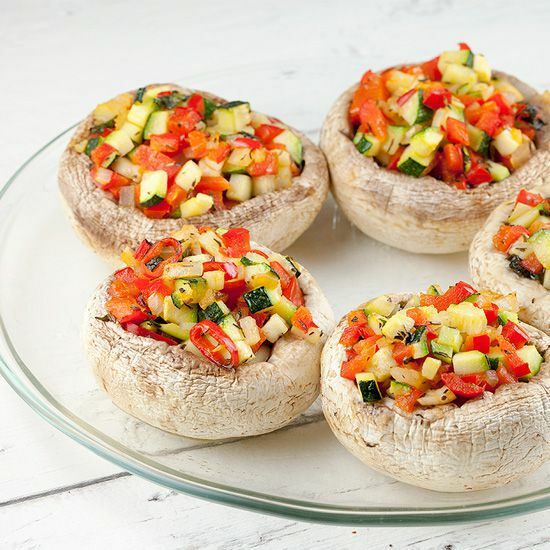 Place each mushroom on the pre-lined baking tray and bake in the oven for about 10 minutes, or until the mushrooms brown a bit. Don’t bake them too long, otherwise the mushrooms will taste rather dry. 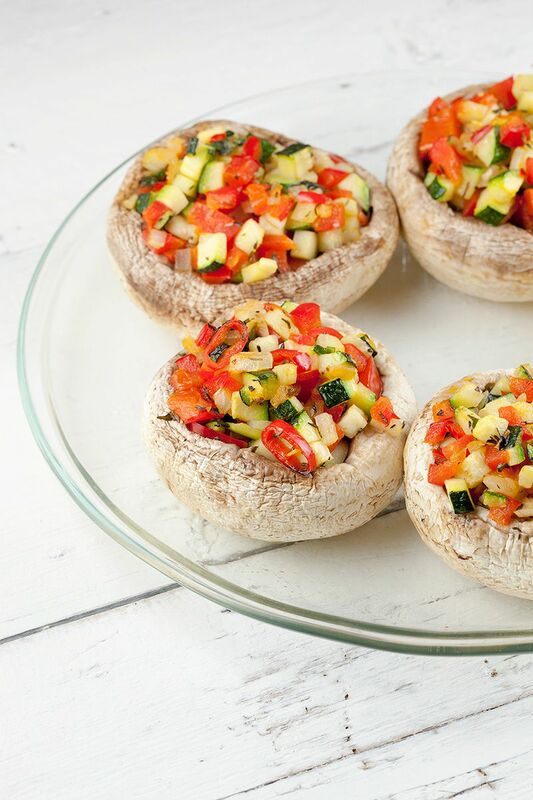 We’ve enjoyed these vegetarian stuffed mushrooms with a glass of red Shiraz wine from Chille. Bon appetit!